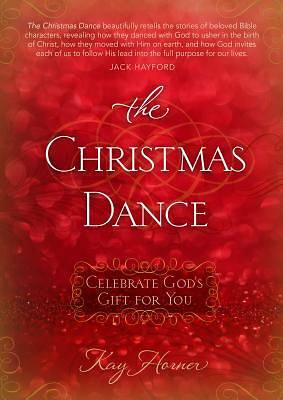 "The Christmas Dance" is about God's story and his invitation for us to join him not only in the narrative of salvation history, but also in divine relationship and ongoing communion. The story began before the foundation of the world, but through creation, he invited us to become characters whose lives are intricately woven into the storyline. The Bible contains hundreds of accounts about people whose roles demonstrate the differences of being willing or unwilling participants in the story and the dance. Regardless of your ageor the choices you have made in life, you are always welcome to accept his invitation. As he draws you into his story, you may find your heart longing for a deeper relationship and intimate conversation with the One who knows you better than you know yourself. He is the divine author who has the ability to create and recreate, to write and rewrite, to sweep you off your feet, and place you into a heavenly dance that goes on through out eternity. The choice is yours. Will you accept his invitation to dance?